Here at the Rubery Prize we have prestigious judges each year to judge our awards. Some of these judges are closely associated with RBA and so are a regular part of the team even when they are not a named judge for a particular year. We have too many entries to send our judges all the books that we receive so we have a number of readers who read the entries and score the books. Some of our readers are regular judges here so you will recognise them. We like to use their specialisms. If a book is of a high enough standard we pass it on to our named judges of that year to read and consider. The judges then all meet up with their notes on the books they have enjoyed the most and this is where the shortlist of each category is decided upon and from there who will win the big prize. It is always an exciting meeting and yet also very difficult as the standard is so high. We always aim to give entrants a fair chance and, in the first instance, pass their book to the most suitable reader of that subject. This is why we ask for you to list your category on the form. However, sometimes you may find you are listed in a category shortlist that is not the category you listed when entering. This is because we give a minimum of 3 category awards. So for example, if you enter a thriller but there are not enough entries of a high enough standard for a thriller category the book would be listed under a fiction category instead. Well, why not? We are based close to Rubery so it seemed a good choice of name to make. It is often mispronounced as "Rubbery". But note there is only one b and therefore the correct pronunciation is ru-berry. Rubery is actually a place in the Midlands - unusually it sits within Birmingham and Worcestershire with the Bristol Road, A38, going through the middle of it. It has close and easy access to the city of Birmingham and access and views across the beautiful countryside. We work with top London literary agency MBA who read the winning book and ultimately could offer to represent the author. This means the winning author bypasses any slush piles and the possibility of a valuable contact for any publishing rights available for that particular work or future works. We consider this to be an invaluable part of the award and we thank MBA for their support. Below is not an exhaustive list of people involved with us as we also use other carefully vetted readers and others who work behind the scene and they are not listed below. These, however, are some of the better-known people on our team as well as the director of the Rubery Prize. 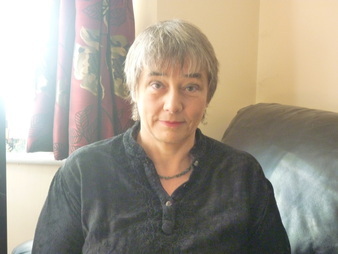 One of our regular judges and a prolific reader is Booker shortlisted author Clare Morrall. She was also awarded an honouree doctor of letters (DLitt) by the University of Birmingham. Morrall’s debut novel, Astonishing Splashes of Colour, was short listed for the MAN Booker Prize. Morrall was also shortlisted for British Newcomer of the Year 2003. Her fourth novel, The Man who Disappeared, was selected for the TV Book Club 2010. In 2012 The Roundabout Man was released to critical acclaim. 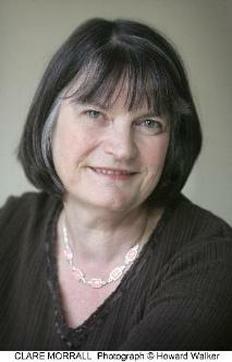 Her novels have been translated into many languages across the world. Another regular judge and reader is Jeff Phelps. A prolific reader and our resident poetry expert. Phelps is an award winning poet and author and has been widely published, notably by London Magazine and Critical Quarterly. He has won several poetry awards including the critically acclaimed Stand prize. Phelps co-founded and edited the literary journal Nutshell which published short stories and poetry. Pauline Morgan has been on the panel of judges for the critically acclaimed international Arthur C. Clarke Award. She is an experienced reviewer of fiction, appearing regularly in the on-line reviews magazine, SFCrowsnest. She is the author of a number of short stories and poems (under the name Pauline E. Dungate) that have appeared in anthologies and magazines in Britain and America. She runs and participates in writing workshops covering all kinds of creative writing. While judging for RBA in 2014 she wrote an article on the judging process which can be found here. Paul McDonald judged our first ever short story competition and edited the subsequent anthology entitled, The Tipping Point. He set the standard for what was to follow in the years after in which the quality only ever increased. He is also the book award judge for 2015. 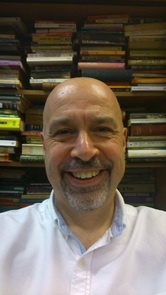 McDonald is senior lecturer in English and Creative Writing at the University of Wolverhampton. He is the author of fifteen books, including three novels and three collections of poetry. His most recent book, Storytelling, was published in 2014. Meet the director of RBA. Heather, a widely published and award winning author of novels, short stories and poetry herself, set up the Rubery Prize. Some of her poetry and short stories have been published in the following journals (please note this is not a complete list): Aesthetica, Brittle Star, QWF, Seam, Tears in the Fence, and Sepia. She oversees the running of the awards, decides on judges, replies to queries and does all things admin related. Her qualifications include an MPhil in English Literature from the University of Birmingham and a BA in English from the University of Wolverhampton.